Metalcore group Bullet For My Valentine are currently supporting Avenged Sevenfold on their North American tour, and this spring, they'll make their way to a handful of festivals in the United States, including Fort Rock on April 28. Today, the band revealed a slew of headlining shows surrounding these performances. Their headlining tour kicks off on May 1, and it will be a 11 date trip through the Northeast. Joining them as support are Florida metal group Trivium, who are touring in support of their latest studio album The Sin and the Sentence, and New Jersey metalcore band Toothgrinder, who are plugging their album Phantom Amour. Tickets will go on sale to the general public this Friday at 10 a.m. local time. Tomorrow (Feb. 13), VIP packages will go on sale through the band's website. 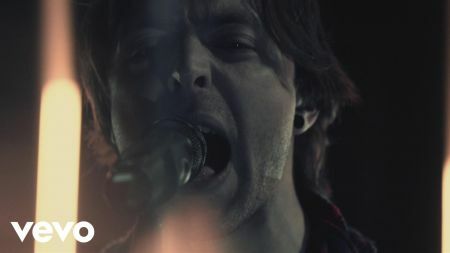 Bullet For My Valentine will release their new album later this year. Their last studio album Venom peaked at number eight on the Billboard Top 200 chart. Before the end of 2017, the band revealed that then touring drummer Jason Bowld became a permanent member of the band. He started touring with the band back in 2015 when former drummer Michael "Moose" Thomas took a break to focus on his family.